Russian pole vault legend Yelena Isinbayeva has told RT she will fight the “evil” of doping in sport, also outlining the need for Russia to restore its anti-doping system. The double Olympic champion recently joined the newly assembled Russian Anti-Doping Agency (RUSADA) supervisory board. “The main issue for us is to restore the efficiency of the Russian anti-doping system and it’s necessary to begin with the return of RUSADA compliance [with international rules],” the two-time Olympic pole vault gold medalist said. The International Olympic Committee (IOC) says that Russian athletes will be subjected to stringent controls and will also face increased attention from anti-doping authorities on the eve of the Pyeongchang 2018 Winter Olympic Games in Korea, Isinbayeva said. The volume of samples taken from Russian athletes will be much higher than those taken from their foreign rivals, she added. “I think we should agree with this,” Isinbayeva told RT. There are numerous problems with the Russian anti-doping system but recently significant steps have been taken to fix the situation, according to the retired athlete. The most important thing is the right of clean athletes to compete in the Olympics, she said. Isinbayeva supports the decision of athletes to compete under a neutral flag as independent athletes, if it’s the only option to compete in the Games. 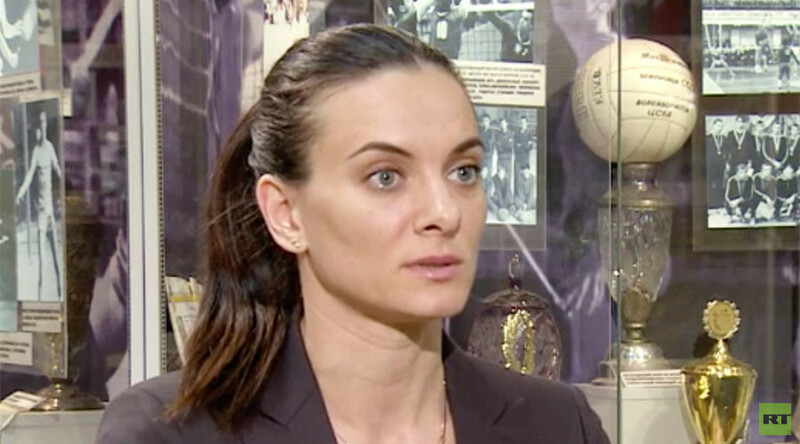 On Tuesday it was announced that Isinbayeva had joined the newly assembled RUSADA supervisory board. After setting 28 world records, collecting two Olympic gold medals (at Athens 2004 and Beijing 2008) and a bronze (at London 2012), Isinbayeva announced her retirement from professional sports last August during the Rio Olympics, where she could not compete due to a blanket ban on the Russian track and field team. In November 2015, the World Anti-Doping Agency (WADA) suspended RUSADA from carrying out doping control within Russia following the large-scale doping scandal, but later provided it with a road map to re-compliance.